Every day law enforcement officers find themselves faced with potential physical confrontation. 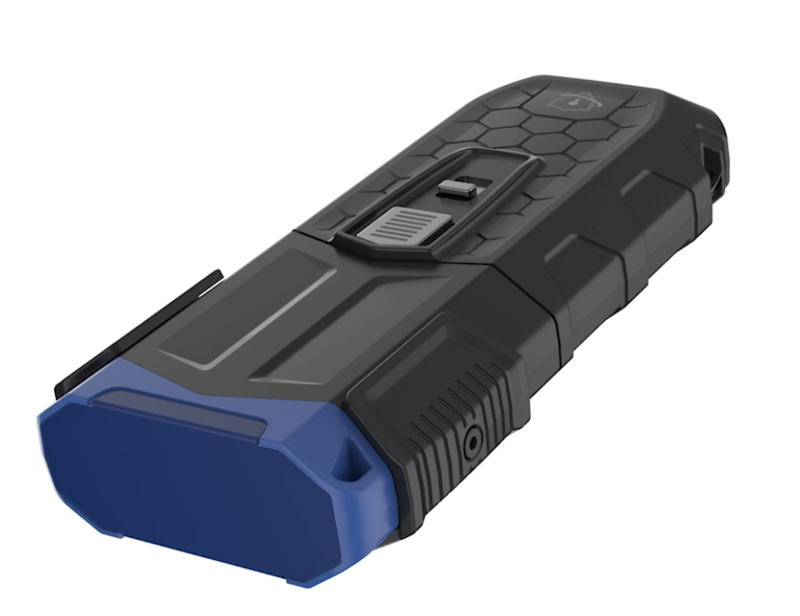 Wrap Technologies’ BolaWrap 100 provides law enforcement officers a new, more humane alternative to traditional non-lethal tools of batons, pepper spray and tasers to restrain someone during an escalating confrontation. BolaWrap 100 is a lightweight, innovative, easy-to- use hand-held tool that deploys a Kevlar tether that wraps around a person’s torso and arms or legs to restrain them. 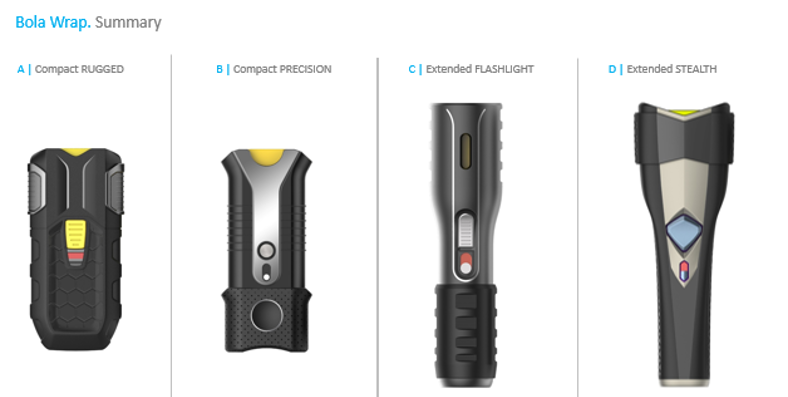 The patented technology allows police officers to do their job without hurting a suspect, bystanders or themselves. An increasing number of law enforcement agencies around the country are equipping officers with BolaWrap 100 because it is saving lives and eliminating violent confrontations. 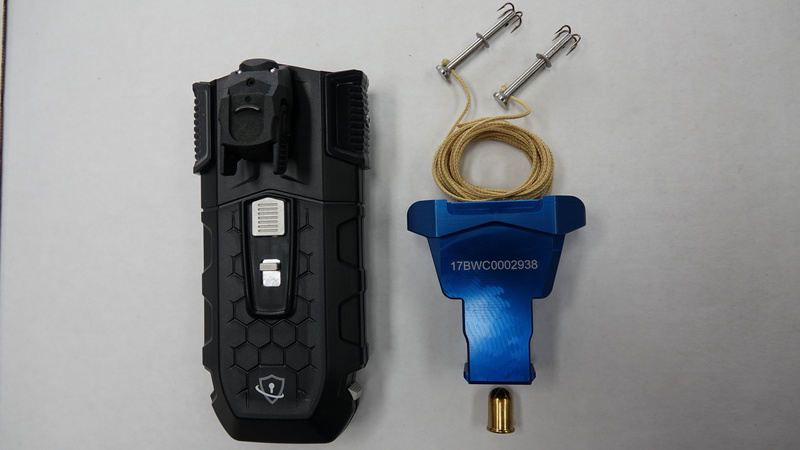 Wrap Technologies modernized a centuries-old tool used by Argentinian cowboys to wrangle cattle by developing patented technology that incorporated a Kevlar tether into a hand-held remote. The remote discharges the tether at a distance of up to 25 feet away from its intended target and wraps around the target’s legs or torso and arms, as a pain-free option to restrain them. 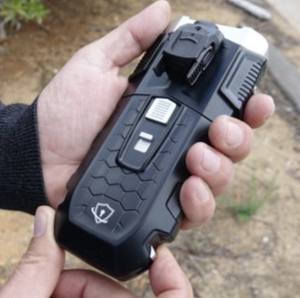 Law enforcement wanted such a tool as an alternative to batons, Tasers and pepper spray, all of which require a close proximity to the suspect and carry risks for all involved. Law enforcement especially desired such a humane tool to help with situations involving people with mental illness, who may be unable to follow officer requests. Wrap Technologies’ device needed to be designed to have no resemblance to a gun, while being lightweight, ambidextrous, easy-to-use and realistic to manufacture. Our first goal was to get a working prototype to the National Sheriffs’ Association 2017 annual meeting for a demonstration, analysis and data collection. This was followed by extensive testing with the San Diego Police Department and the Los Angeles Sheriff’s Department. This research proved invaluable because it allowed us to develop empathy for the officer’s job and the setting in which such a device would be used. We observed the most critical factors are size, weight and ease of use. We also knew we needed to reduce the cost of manufacturing, ideally to at least half of the prototype. The initial idea was a revolver-like device with metal attachments at the end of the barrel. The first prototype was ineffective. The technology was housed in a bulky, metal enclosure and required an officer of considerable strength to operate. DDSTUDIO was hired to design a lighter-weight but durable and weather-resistant plastic housing for the technology. It created a user experience that is easy, accurate and effective. The current iteration looks nothing like a firearm. It is slim, light and can be held in one hand. It is about the size of a mobile phone and weighs less than 12 ounces. The exterior is a durable, rugged, weather-resistant plastic that protects the metal internals. A blank 9mm cartridge discharges and propels the 7.5-foot-long Kevlar tether with two metal pellets at each end, each of which also has a tiny hook, like a fish hook. The pensile strength of the discharge is about 250 pounds and it travels at about 800 feet per second. We tested cords with strength up to 300 pounds. A rapid cartridge refresh support multiple reloading. 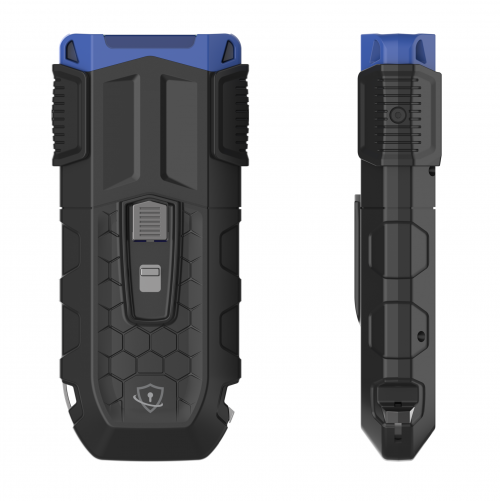 There is an option for a clip-on attachment to a holster, as well as a laser. A growing list of law enforcement agencies in the United States have adopted the BolaWrap 100 technology and the company is fielding multiple inquiries from Europe, Asia (including the Middle East), Central and South America and Canada. The company announced its first international sale in August. The largest 100 countries in these international markets represent over 12 million police officers, compared to 765,000 sworn officers in the United States, according to Wrap Technologies. In many countries, including England, Ireland, New Zealand, Iceland, Norway and others, police officers do not routinely carry firearms and have limited tools to engage with non-compliant individuals.